Generous, contoured seat and back for comfort. Lightweight (11 lbs.) for easy transport. Plastic glides protect floor. Safco® Chair Connectors (Sold Separately) allow fixed chair grouping. Stack up to 15 high for easy storage. High impact polypropylene seat and back. Tubular steel frame with black powder coat finish for durability. Generously sized, contoured polypropylene seat and back for comfort. Lightweight (11 lbs.) for easy transport. 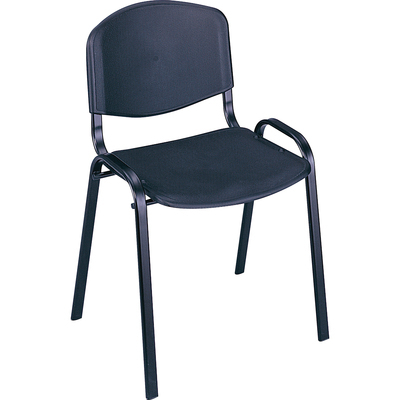 Features a tubular steel frame with a black powder coat frame for durability. Plastic glides protect floor. Safco® Chair Connectors (Sold Separately) allow fixed chair grouping. Stack up to 15 high for easy storage.